The importance of performing routine backups cannot be stressed enough to a business. All of the data a business accumulates over the years is invaluable. Having a proper backup plan provides peace of mind knowing the data is being backed up on a regular basis. Here’s where we share a little bit of the secret sauce. Depending on the size of the data being backed up, there are a couple of different approaches to properly backing up the company’s data. First, you have incremental backups. These backups are running on a nightly basis and backup files that are modified on a regular basis. These backups take up less hard drive space and are quick to perform. The benefit of incremental backups are if a employee loses or accidentally deletes an important file, the incremental backup can restore the file from the previous day. Not too shabby of a fallback if documents were to get misplaced or completely deleted. A bonus tip for small businesses. It is good practice to test out a recent backup of the data at least once a quarter to make sure the backup is acceptable. Performing this exercise quarterly ensures the data is clean, not corrupt, and provide an idea of how long the data takes to restore. After incremental backups, you have full backups. These are performed on a scheduled basis and take a snapshot of the entire file structure. Full backups occupy a lot of hard drive space, in that all of the company data is being backed up and stored either on a server located at the office and / or being pushed to a secure offsite data center. The full backups are the meat of the data and are crucial backups. The backups can be robust and utilize a lot of resources, which is why these are performed over the weekend when the office network is seldom used. Full backups are a way of securing all of the valuable data a company collects. 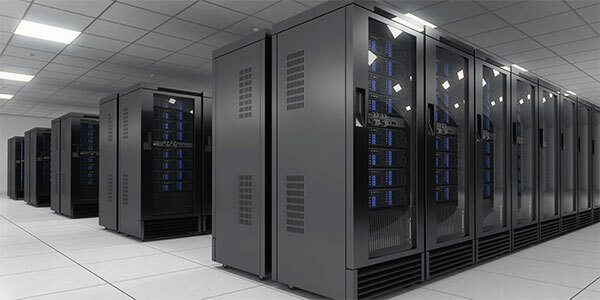 A solution we have been implementing more frequently is creating a local backup of a customer’s sensitive data and teleporting the data to an offsite secure data center. 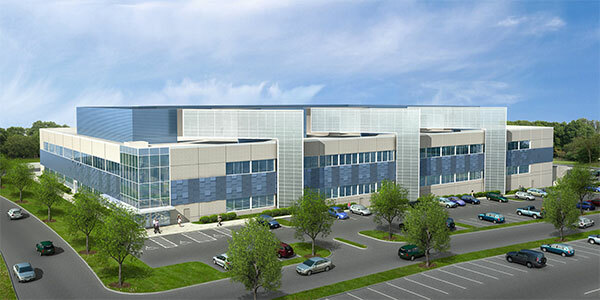 The data center stores the customer’s data on enterprise level servers. Depending on the size of data being backed up, this will determine how much space is needed to store the company’s data. In addition, we have a formula we use to calculate the space needed to store the current data and how much additional data is needed in case the size of the data steadily grows. Let’s provide a scenario of two different companies, one who performs regular backups, and the other who also performs regular backups, but also copies these backups to an offsite data center. Company A has contracted out to a managed service provider who has been performing incremental and full backups on a regular scheduled basis. One day, a massive earthquake hits, the entire office shakes and all employees go under their desk to protect themselves. Once the shaking completes, the server, desktops, and all equipment have been damaged. None of the equipment can be recouped and all data is lost. Now, all of the elements from the previous scenario happen to Company B, except for the fact the organization has an offsite backup of the most recent data. The company will be able to restore all of the data that were in the desktops and server without losing too much productivity. A bonus tip for small businesses. Backing up to a data center can be expensive. Take the time to calculate how much the business would be affected if the data would be lost or down for a week. This provides a solid number to budget for when selecting an offsite backup solution. A major benefit of performing offsite backups is saving cost on local hardware. The more data that is being backed up, the more hardware that needs to be purchased. Depending on the size of the data being backed up, you could be looking at a couple of servers, a network attached storage device, locally connected external hard drives, to name a few types of different configurations. Offloading the backups offsite saves money by having less equipment, which will prevent hardware issues in the future and the cost of replacing these units once the warranty or life of the product expire. Adding this second layer of insurance allows data to live offsite at a data center in case a situation arises were the office has an earthquake, a fire, or some other natural disaster. The point of the blog post is to back up your data, keep a local copy, and move a copy to an offsite data center where data is store securely. A preview for the next post is focusing on hardware devices and how you can save money with tips from the technicians with years of experience.